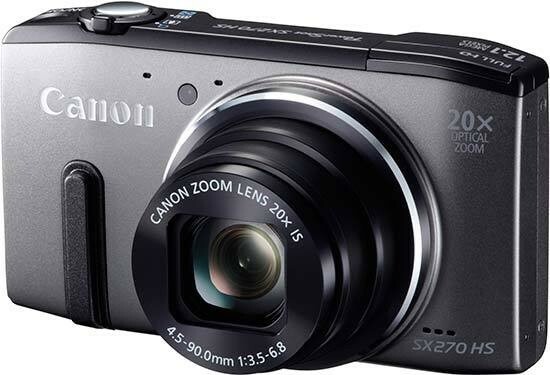 Listed below are some of the rivals of the Canon Powershot SX270 HS. The Olympus SZ-30MR is a new travel-zoom compact camera, featuring a 24x lens that provides a focal range of 25-600mm, yet is still small enough to fit into your pocket. Other key features offered by the SZ-30MR include a 16 megapixel CMOS sensor, 1080p HD video recording, 3 inch LCD screen, 9fps high-speed continuous shooting, sensor-shift image stabilisation and a range of Magic Filters. Priced at £250 / $350, we find out if the Olympus SZ-30MR is the best travel zoom camera that money can buy. The Samsung WB850 is a new travel-zoom camera with a mouth-watering specification. The WB850 offers a wide-angle 21x zoom lens, 16.2 megapixels, Full 1080p video recording, 3 inch AMOLED screen, built-in wi-fi and GPS, plus full manual controls. Read our detailed Samsung WB850 review to find out if it's a contender for the travel zoom crown.